Ace director Mani Ratnam is shooting for his film Kaatru Veliyidai at Leh, Ladakh and there are widespread speculations going around regarding the release of the film. The buzz is that it is scheduled for Valentine’s Day release for 2017. Earlier there were also talks that the film might hit the screens in April 2017. 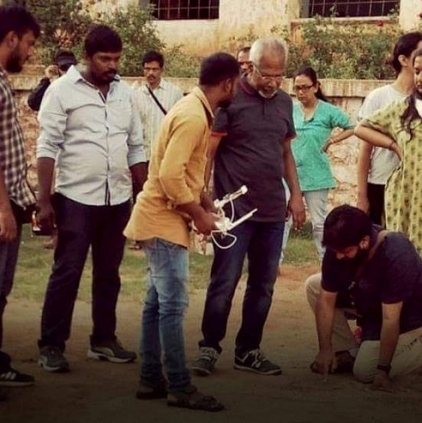 However, when we contacted sources close to Mani Ratnam, we were told that the unit is yet to decide on the release date and is right now focusing on completing the shooting. Kaatru Veliyidai features Karthi, Aditi Rao Hydari, Shraddha Srinath, RJ Balaji and others. AR Rahman scores music while Ravi Varman handles the camera. People looking for online information on Kaatru Veliyidai, Karthi, Mani Ratnam will find this news story useful.